The total count of mobile applications has exceeded 2.2 million for Google Play Store and 2 million apps for Apple App Store, among which hybrid frameworks have formed a greater part. 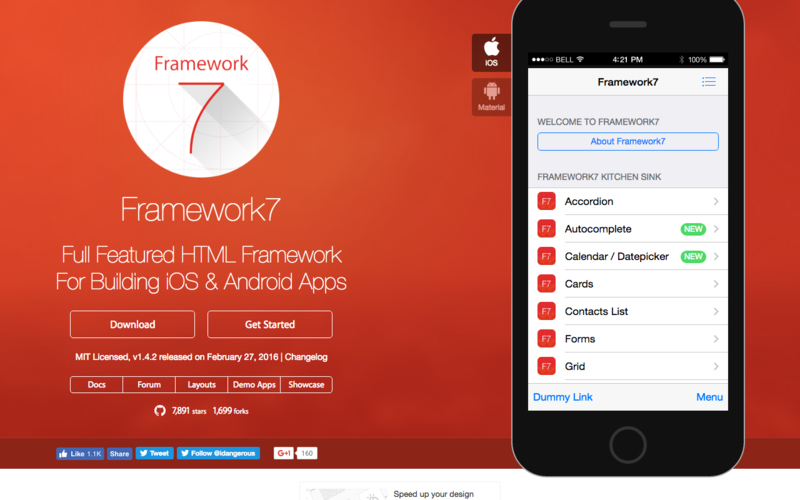 Let us take a look at leading exceptional frameworks that help developers create hybrid cross platform apps, quickly. 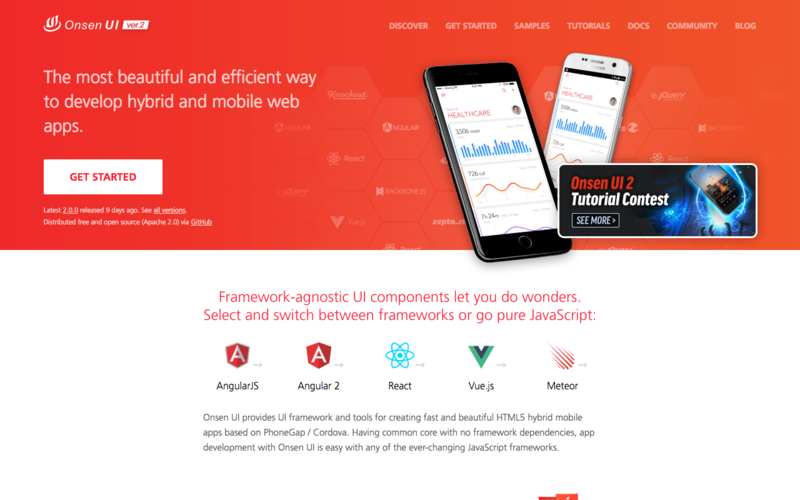 Onsen UI is an open source framework that allows developers to build apps by combining native-looking components. 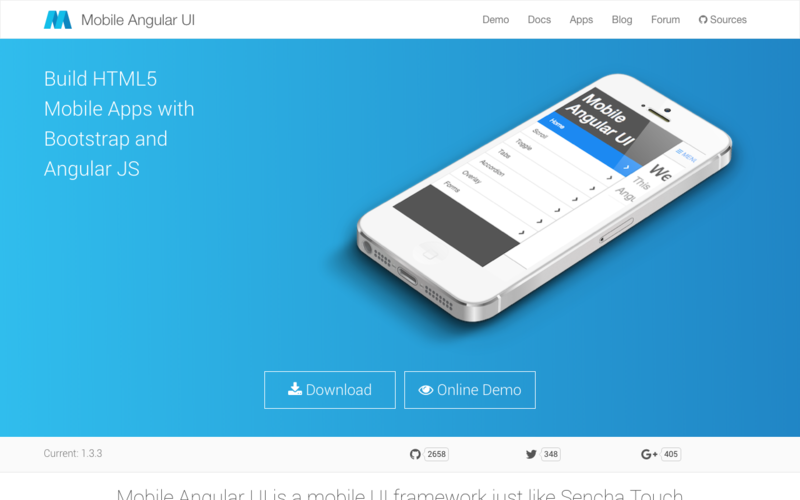 It’s fairly simple to use, can work with or without AngularJS, and has great documentation that includes lots of examples and layouts for the most common app structures. 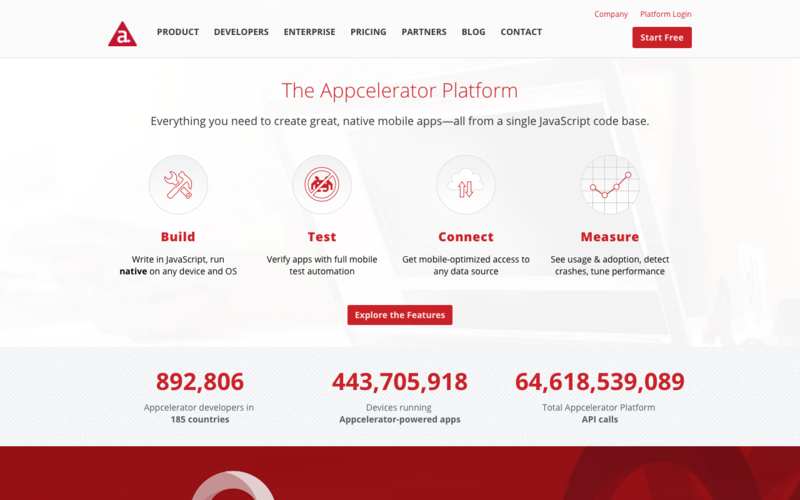 It comes with jQuery feature that end the frustration of lack of native-like performance. The brilliant performance of Onsen UI help in delivering phenomenal user experience on myriad of devices and platforms. Mobile Angular UI framework allows building robust and intuitive HTML5 mobile apps by harnessing the potentials of AngularJS and Bootstrap. It offers critical mobile components like overlays, switches, scrollable areas, sidebars, and navbars that don’t scroll or bounce. 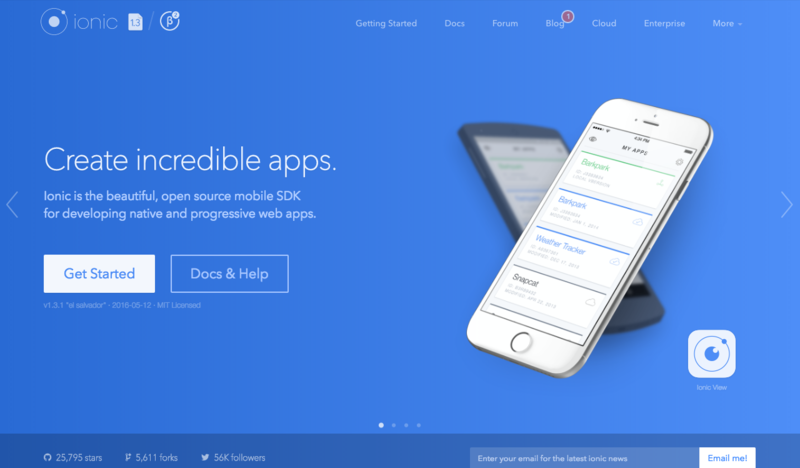 To deliver a better and unique mobile experience, the framework relies on libraries like overthrow.js and fastclick.js. What makes it one of the top frameworks for hybrid app development is that it is super easy to understand and put things into practice! No bootstrap JS, no dependency on jQuery; all that is needed is AngularJS directive to build superlative mobile user experiences! Using hybrid frameworks can definitely reduce the cost and time associated with any project but the UI and UX requires extensive work in order to be updated in accordance to different design guidelines of Apple and Google. So, what are your plans for switching to a cross-platform mobile application development framework? Let us know in comments below.